Flowers Café Cebu has partnered top-notched flower shops in the region making sure that you get the freshest flowers delivered to the recipient. 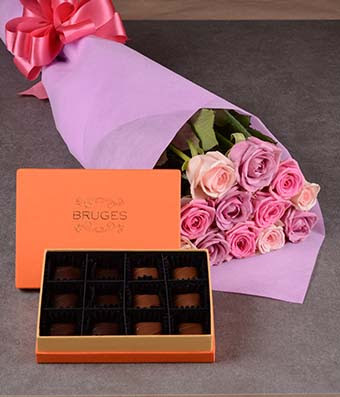 Flowers for shipment are placed in a special package box so as to protect the flowers during delivery. And each flower is put in floral tube where it serves as its water source so flowers don’t get dehydrated or will wilt during shipment. And the country’s leading courier service, LBC will be the one to deliver the flowers right to the recipient’s doorsteps. For all our blog readers and subscribers, you will get a special discount if you purchase through http://flowerscafecebu.com. You will automatically get 10% discount. The promo code works only if the items are not on sale. This is for Valentine’s day delivery only. Avoid the rush on this day. The promo code is only valid until February 8, 2016. So be quick in making reservations now. This is our way of saying “Thank you” for patronizing our blog and keeping subscribed to the latest promo and news updates. If you are far away from the country and want to send flowers to Philippines, this is an avenue for you have your presence felt by your love ones. Send them a bouquet of flowers on they day of love! We are so delighted to share this good news to all of you. Flowers speak something no matter what the occasion is. And this Cebu Flower shop is our trusted floral provider. We’ve been with them for years and their service is just excellent! Sir&ma'am pasahi po hinde po flowers ang hanap ko.magkano po.b. ang pasahi manila to Palawan at Kong magkano po. May roses po ba kayu! It looks like a great flower shop. Gratitude for sharing reviews about their services! I will also be buying flowers for my parents on their anniversary and would like to use online Floral Delivery services of this florist. I hope they’ll deliver flowers on time. Great online flower shop ! I have heard about it, it is local flower shop based in Philippines which delivered flowers and gifts nationwide. Visit here for Send Gifts To Philippines on same days. I have heard about send flowers Philippines, it is local based online shop in Philippines. Want to buy online Flowers Philippines on the same day, click on this link. It is the best service to send flower in Philippines on same day at a affordable price. It is actually based on local flower shop with fresh flowers. Online Flower Delivery Manila with fastest service in Philippines on same day. Vietnam visa service will assist you in pursuing your case for processing by the immigration authorities in Vietnam and put in all out effort through a thoroughly professional approach to see that your https://greenvisa.io is approved in time for your flight. The value added of india holiday destinations offering is itsknowledge and expertise, competitive rates, and specialty focus on travel, whichtranslates into increased satisfaction for the customer.